MANCHESTER, N.H. (September 20, 2012) – World-ranked junior middleweight Demetrius “Boo Boo” Andrade (18-0, 13 KOs) displayed his entire arsenal tonight, stopping Alexis “Hurricane” Hloris (16-4-2, 12 KOs) in the second round, headlining the11th annual Fight To Educate Pro-Am card at Verizon Wireless Center in Manchester, New Hampshire. The 24-year-old Andrade, a 2008 U.S. Olympian, dropped Fernandez early in the second round with a straight left and then finished the show with a right hook. Fernandez beat the count but the referee halted the action as the second round ended. “I wouldn’t say I was rusty, just cautious in the first round, feeling him out to see what he had,” Andrade said after the fight. “I established my jab. I came out in the second round knowing he had trouble with my jab and left. I put some power and speed behind my punches. I showcased it (his entire arsenal); it looked good and sealed the deal. Andrade, fighting out of Providence (RI), is co-promoted by Joe DeGuardia’s Star Boxing and Banner Promotions. The slick southpaw is ranked No. 4 by the International Boxing Federation (IBF) and No. 5 by the World Boxing Organization (WBO), as well as No. 10 by the World Boxing Council (WBC) and No. 15 by the World Boxing Association (WBA). Fight To Educate, presented this year in part by Absolute Broadcasting WGAM, The Game, is a unique charity event that combines a love of sports with the vision of assisting children and seniors in need, who with fundraisers like this could be ‘down for the count.’ During the past 10 years, Fight To Educate has raised more than $500,000 in donations benefitting local New Hampshire non-profit organizations. 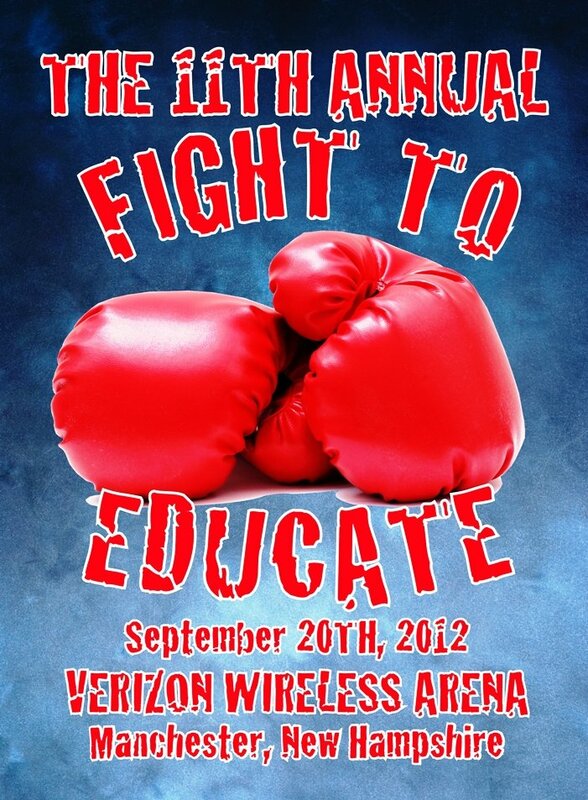 Proceeds from the 11th annual Fight To Educate will benefit SEE Science Center (www.see-sciencecenter.org), The Bobby Stephens Fund for Education (www.stepheneducationfund.com), and New Horizons for New Hampshire.